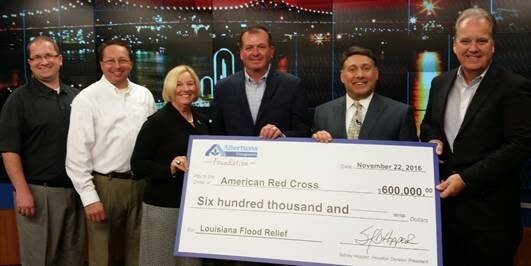 The Albertsons Companies Foundation matches a $300,000 donation from store customers, employees, vendors, and American Red Cross donors, to give a total donation of $600,000 to the American Red Cross Louisiana Flood Relief. 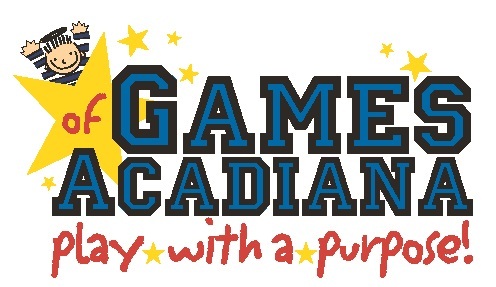 The Games of Acadiana benefiting Miles Perret Cancer Services was held in August in Lafayette’s Cajundome. Albertsons was a proud sponsor of the Win it in a Minute…Face the Cookie challenge where kids put an Oreo cookie on their forehead and try to work it down their face and into their mouth…without using their hands! The Games is free to kids and their families and features tons of fun, interactive games, a parade and stroll for survivors, a fundraising spaghetti dinner, and even free parking! Enjoy the photos below! The Albertsons Companies Foundation was a proud sponsor of the Win it in a Minute…Face the Cookie challenge where kids put an Oreo cookie on their forehead and try to work it down their face and into their mouth…without using their hands! The Games is free to kids and their families and features tons of fun, interactive games, a parade and stroll for survivors, a fundraising spaghetti dinner, and even free parking! The Miles Perret Cancer Center is a haven for individuals and their families fighting, surviving and living with cancer. We are here to provide emotional support, guidance, resources, programs and most of all, hope. Their services are comprehensive and always provided at no charge. No appointment is necessary and there are no qualifications.